Humans are the most successful species on the planet. But we are using more resources than the Earth can provide. We are in global ecological overshoot. 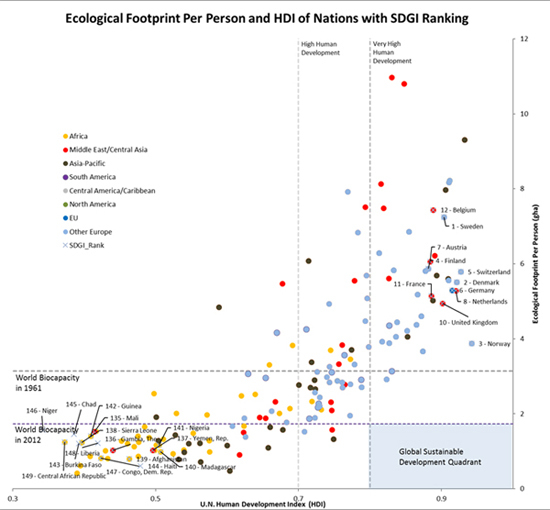 The Ecological Footprint is a data-driven metric that tells us how close we are to the goal of sustainable living. 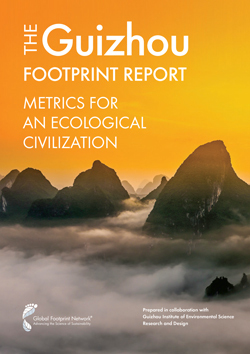 Footprint accounts work like bank statements, documenting whether we are living within our ecological budget or consuming nature’s resources faster than the planet can renew them. Together with hundreds of individuals, 200 cities, 23 nations, leading business, scientists, NGO’s, academics and our more than 70 global Partners — spanning six continents — we are advancing the impact of the Footprint in the world, applying it to practical projects and sparking a global dialogue about a one-planet future and how we can facilitate change. Global Footprint Network provides tools and programs that can help countries thrive in a resource-constrained world. More than ever,decision-makers are employing Ecological Footprint accounting to manage their ecological capital, both now and for the future. These programs help decision-makers recognize the impact ofecological overshoot on their own policies, investments and projects, and demonstrate that it is both in their interest and within their power to turn the tide. By proving to national governments, finance institutions, and international development agencies that they can be more successful if they operate within nature’s budget, Global Footprint Network aims to foster a more stable and prosperous future. Our stewardship of the National Footprint Accounts is bringing new levels of scientific quality and precision to the Ecological Footprint. Our Sustainable Human Development initiative is defining what it really means to meet human needs while maintaining natural capital. Our programs for cities, businesses and financial institutions are extending the Footprint into new domains, developing new methodologies and tools and building the market for Ecological Footprinting. Our work developing international Footprint Standards is advancing the integrity and comparability of Footprint applications worldwide. Our network of 80-plus Partners, located on six continents, is comprised of the world’s leading Footprint practitioners and users and plays a vital role in guiding our research agenda and making Footprinting relevant and practical.